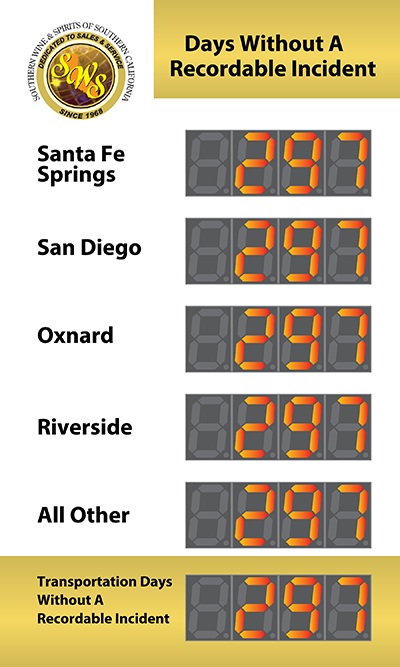 We add your safety program graphics, company logo, custom text and track any number of teams. 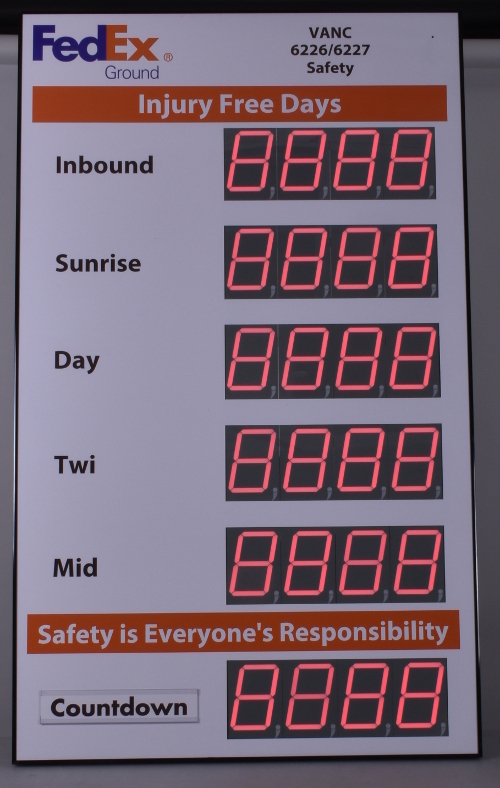 Build your custom safety scoreboard with our online designer. 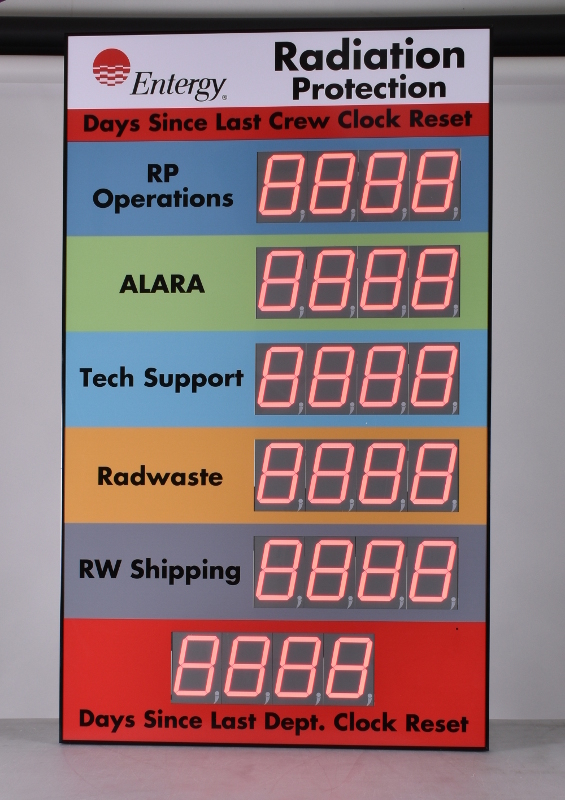 This 60" high by 36" wide custom days since last accident sign with six large 5" counters will allow you to track your safety record for up to six teams. Each large counter will automatically track the days since the last lost time accident by automatically counting up one each night at midnight. 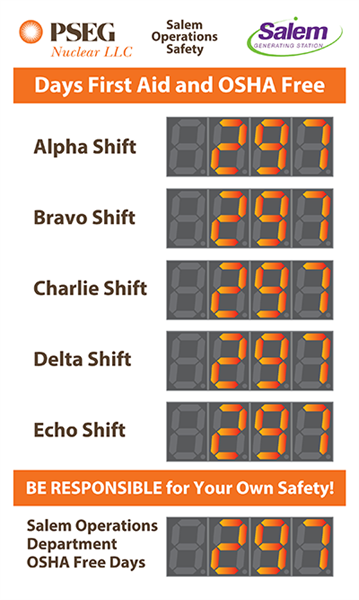 If you are using one of the displays for a previous record you can set the counter to not advance, or if you are currently setting a new record you can have all the counters advance together so that your new record matches your safe days count.